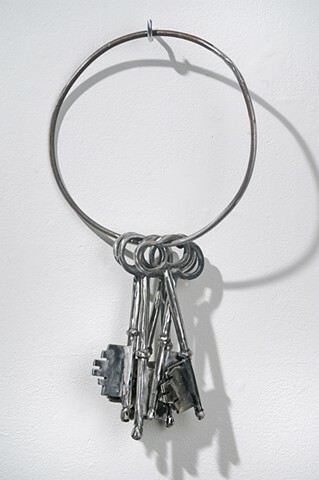 The fabricated metal keys in this piece are replicas of those used in D.C. Prison to jail the suffragists. As collaborators, my Daughter and I, share the desire to recognize and highlight the struggle of women that came before us. The suffragists built a strong community of women using their shared experience in order to change society. As a mother and daughter team, this feeling of community has kept us engaged in the fight and motivated to highlight their determination. 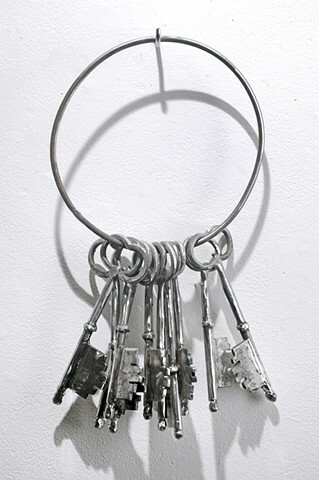 These are welded and forged steel replicas of the DC Prison key used in 1917 to lock up hundreds of women picketing for equality and the right to vote. 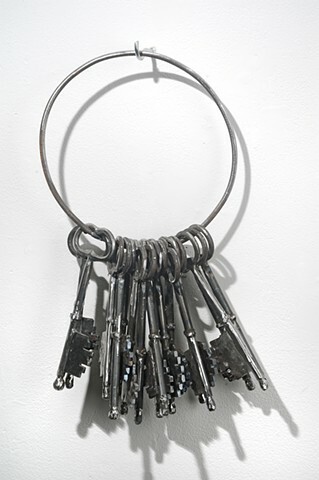 Each key is approximately 8 inches. 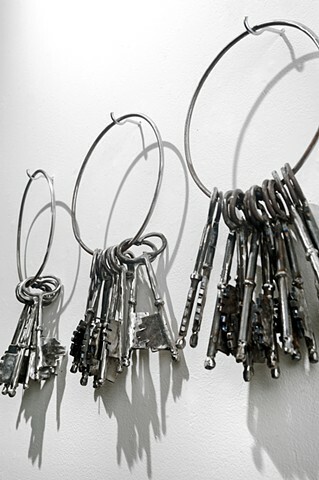 The number of keys on each ring corresponds to the women arrested on that day.